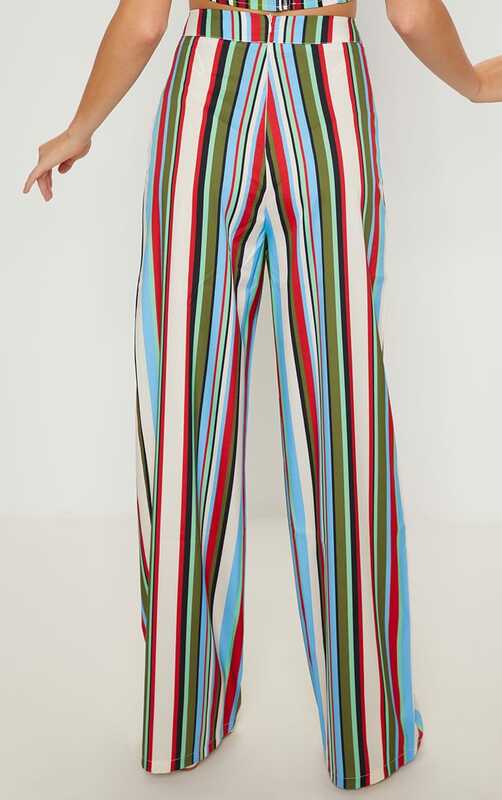 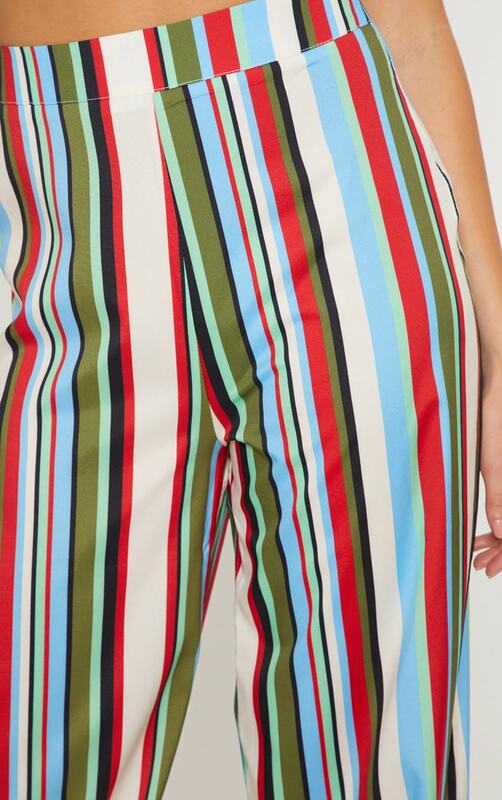 We are loving stripes this season and these trousers are perfect for the summer season. 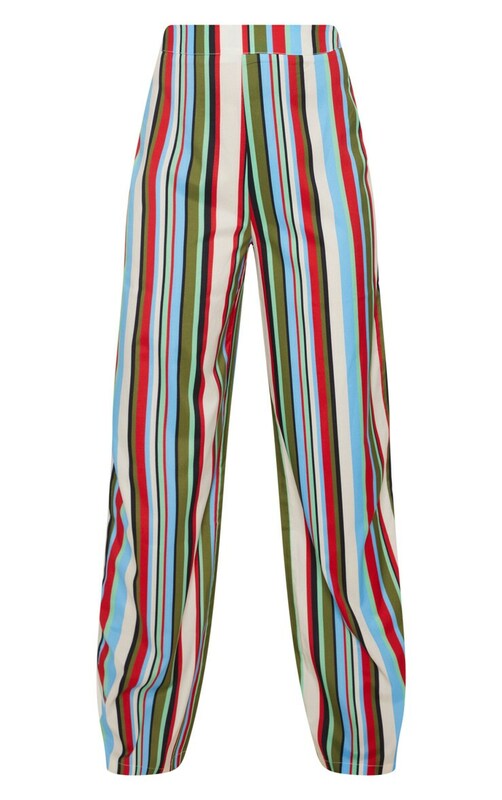 Featuring a multi stripe design material with a zip fastening and a wide-leg fit. 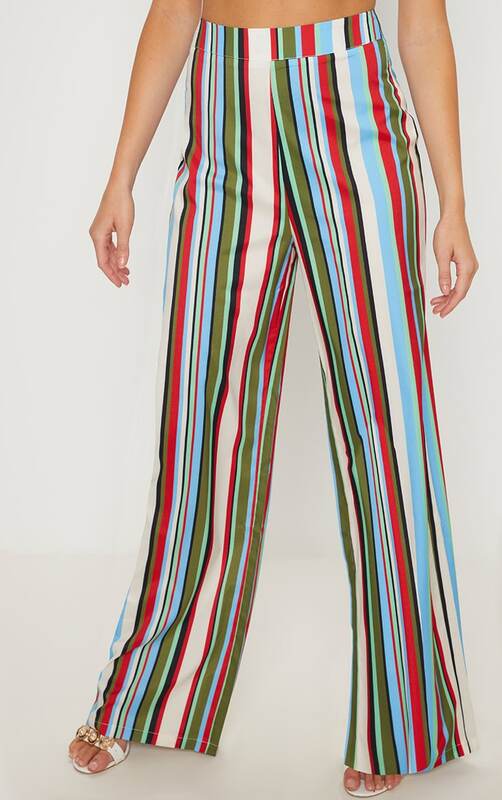 Style these trousers with the matching crop top and strappy heels for an occasion worthy look.